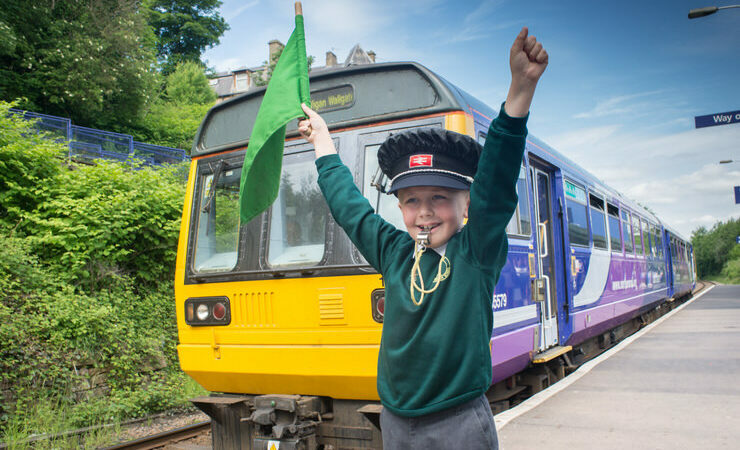 A celebratory event was held today to mark the investment of £2.3m investment in Burnley’s Manchester Road railway station and launch a new campaign to market East Lancashire’s attractions to rail visitors. 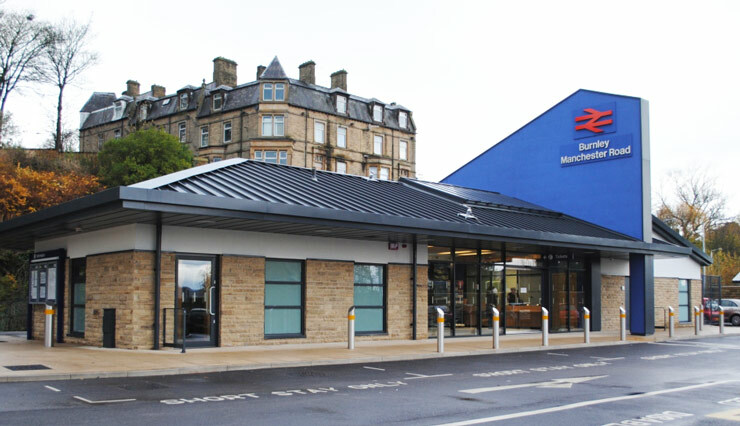 As part of the Citizens’ Rail project, work took place over the last 18 months to provide the station with an iconic station building with improved car and cycle parking, CCTV, real time information and improved signage, before services began running on the direct Blackburn to Manchester service via the newly restored Todmorden Curve. The Explore East Lancashire marketing campaign will highlight the faster connection as an opportunity to visit the area’s attractions. 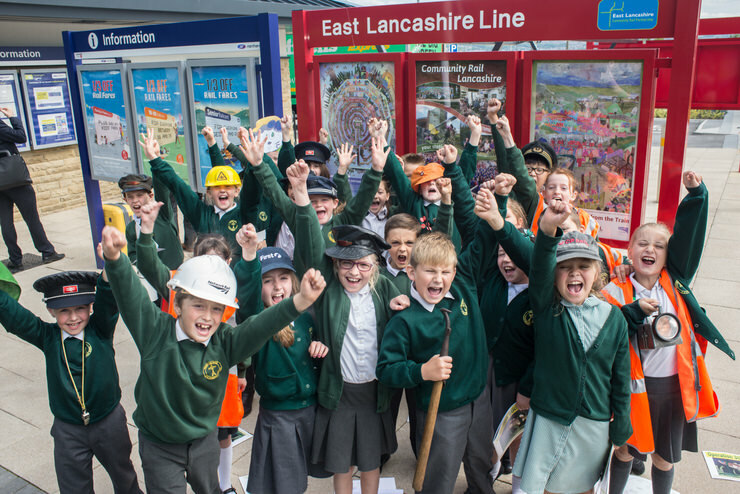 Posters and leaflets (download a copy, 0.4MB) supporting the campaign will be displayed at stations between Blackburn and Manchester along with artwork previously produce by pupils from Padiham Green primary school. 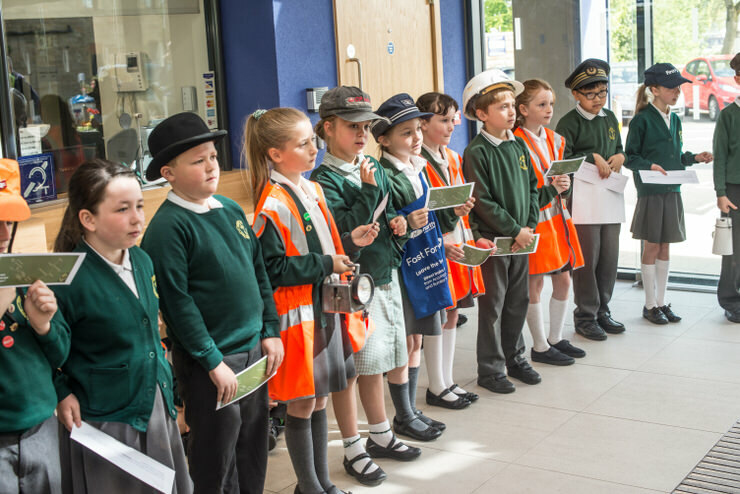 Representatives of Burnley Borough Council, Lancashire County Council, Northern Rail, Community Rail Lancashire and Citizens’ Rail gathered to unveil a plaque marking the station investment and enjoy presentations by pupils from Padiham Green Primary School. The first was about the history of the station, and the second told the story of a stickleback called ‘small fry’ that was sucked into the water tank of an engine at Rose Grove and then went on a journey to Manchester and back via the Todmorden Curve. Read the full story in the children’s excellent hand-made book, Operation Stickleback (5MB PDF). 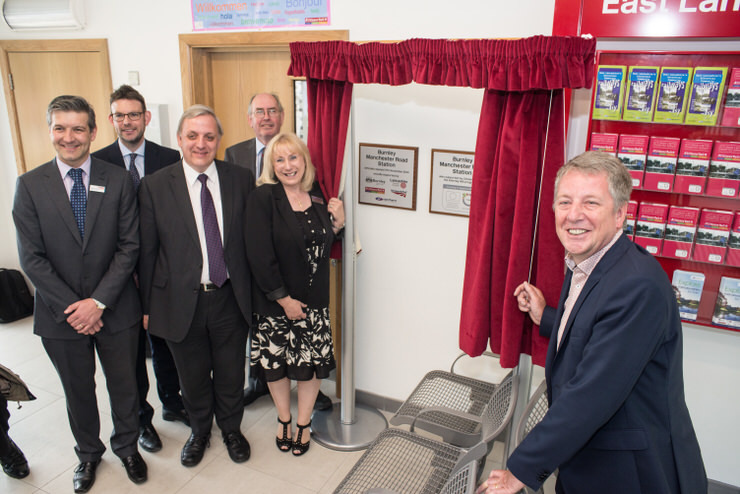 County Councillor John Fillis, Lancashire County Council cabinet member for highways and transport, said: “Improving transport connections is vital to our ambitions to create the conditions for future economic growth in East Lancashire. “We’re working hard to develop the case for the government and the rail industry to invest in the infrastructure to improve journey times and frequency, as well as modern rolling stock and station facilities. Funding for the station improvements was provided by Burnley Council, Lancashire County Council and the Citizens’ Rail Interreg IVB project. A further £100,000 was secured from the National Station Improvement Programme (NSIP) by Northern Rail/Network Rail to support the platform works including the new passenger shelters.